American popular culture has always had affection for the medical profession. Television images of Gunsmoke's Doc Adams, Star Trek's testy "Bones" McCoy and the almost god-like Marcus Welby, have made these characters cultural icons. Media images often conflict with reality, doctors as miracle workers or good guys have an instinctive appeal. Fact often surpasses fiction and early twentieth century big league baseball and the citizens of Youngstown, Ohio, had their own larger-than-life physician, John D. "Bonesetter" Reese. Photos of Reese conjure up the image of the kind old country doctor. His gray hair, friendly demeanor, and pipe remind one more of a friendly uncle than a doctor. How he practiced his trade was both idealistic and egalitarian. But while he enjoyed an excellent reputation for his skill and fairness, the medical profession vilified him. It was evidence of his talents and character that he overcame this opposition by the force of his personality and his popularity in his adopted hometown. Reese's involvement with baseball players was purely a sideline. The primary focus of his practice was treating his one-time colleagues, the mill workers of Youngstown. Reese's unique ability of manipulating muscles and ligaments put working men and ball player alike back to work, giving him the reputation of miracle worker in some circles. Reese's origins were humble and harsh. He was born May 6, 1855, in Rhymney, Wales, the son of William and Sarah Morris Rees. (Little is known about his parents; family records indicate his grandfather was a coal miner.) His father died three months later. Eleven years later his mother died. Orphaned, Reese went to work in the Welsh ironworks. He was taken in by an ironworker named Tom Jones, who taught Reese the trade of bonesetting, a term Welshmen used for treatment of strains of muscle and tendon, not actually setting broken bones. Reese remained under Jones' tutelage until he left for the United States in 1887. Like many immigrants of the time, Reese was compelled to emigrate for a simple reason: there were no jobs in the old country. He sailed steerage class to America without his family, sending for them six months after arriving in the United States. Upon their arrival Reese left his job as a roller's helper at Jones & Laughlin Steel in Pittsburgh and moved to Youngstown, where he took a job at the Brown-Bonnell Mills. Family history says he successfully treated an injured mill worker in 1889 for a dislocated shoulder. It was a good deed that changed Reese's life forever. As word of his talent spread, Reese was presented with a dilemma. Treating injured workers was taking him away from his primary job and his main source of income. However, management did not complain about Reese's "moonlighting." Reese was a piece worker; therefore, he wasn't paid when he wasn't doing his job and the trade-off of getting injured men back to work sooner than expected benefited management. Eventually the strain of doing double duty, working in the mills and treating patients night and day, forced Reese into a full-time medical practice in 1894. That move did not simplify his life. It merely swapped one set of problems for another. The local medical establishment, jealous of its turf, began a six-year battle with Reese, charging him with quackery and practicing medicine without a license. The threat behind that latter fact forced Reese to adopt a policy of charging patients what they could afford, rather than charging a fee for service, a clear violation of state law. The policy, primarily applied to factory workers was tersely stated, "Pay me when you get it." He was also known to charge the rich and famous more for his services than the working man and his family. Reese did all he could to satisfy his establishment critics. In 1897 he enrolled in medical school at Case University in Cleveland. His formal education lasted three weeks because Reese could not stand the sight of blood during surgery. His teachers recognized his talents, however, and gave their blessings to his practice of muscle and ligament manipulation, which resembled osteopathy, a medical theory founded in the United States during the late nineteenth century. One instructor went so far as to say that anyone who had a quarrel with Reese had a quarrel with him. The teacher added that the medical establishment's concerns about Reese were unfounded and further medical instruction could rob him of his unique talents as a healer. The struggle with the medical community ended in 1900. By the turn of the century Reese had developed strong ties in his community, making influential friends and practicing his trade within strict limits. For instance, he refused to treat acute illnesses. In 1908 during a typhoid outbreak in Youngstown, Reese referred patients to licensed physicians. Ultimately, the state of Ohio formally recognized his practice. The exact origin of this "licensing" is unclear, but it effectively ended open opposition by medical authorities. Reese's biography, titled Child of Moriah, written by Reese's grandson-in-law David Strickler, noted that the first baseball player Reese treated was Jimmy McAleer, a Youngstown native who was an outfielder for the Cleveland Spiders at the time. McAleer, who later became manager of the St. Louis Browns, spread the word about Reese's talents. In 1903, the Pittsburgh Pirates offered Reese the position of full-time team physician. Reese, preferring to stay at home, refused the offer and continued to treat ballplayers no matter what team for which they played. As his reputation spread, players from all major league teams came to Youngstown to see the Bonesetter. Pitchers, catchers, outfielders, infielders, stars, and rookies were treated. Strickler's book lists 54 players treated by Reese, 28 of whom are in the Baseball Hall of Fame at Cooperstown. Scores more visited him but weren't listed because Reese never sought publicity, and some players did not want anyone knowing they might be hurt. From his experience with players, Reese became an expert in treating sore arms, bad backs and charley horses. Reese noted that most of his patients were pitchers: "It's not the curve ball pitchers who come the more often...but the boys who try to throw the ball past a batter, the speed ball pitchers...If the soreness is in the elbow it's a speedball pitcher nine times out of ten; if in the shoulder, a curve ball pitcher." Several players credited Reese with saving their careers, including long-time Cleveland pitcher George Uhle and Pittsburgh and Brooklyn infielder Glenn Wright. Others saw their playing days come to an end when Reese's ministrations could not overcome the strains on their bodies. Among Hall of Famers who came to see the Bonesetter were Honus Wagner, Cy Young, Ty Cobb, Rogers Hornsby, Eddie Collins, Grover Cleveland Alexander, Walter Johnson and John McGraw. While Reese provided cures, the repairs were not painless. Wagner said Reese hurt him, "...like the devil, but always does the work." Reese himself liked Wagner and described their first meeting, "...because they call me 'bonesetter' he [Wagner] was trembling clear down to his shoes. And the minute I placed my hands on his back he fainted dead away." The Bonesetter was not always happy with his ball-playing patients. He believed many of them re-injured themselves because they would not follow his directions. While Reese would treat boxers and an occasional football player, he disliked sports that put their participants in harm's way. Present-day Youngstown is a football hot bed, but Reese did not share the passion, hating football. None other than George "Papa Bear" Halas had to persuade Reese that his bum knee came from sliding into a base and not from the hands of a brutish linebacker. Reese's patient list was not confined to athletes. Patients listed included celebrities and politicians, most notably Theodore Roosevelt, Charles Evans Hughes and fellow Welshman and former British Prime Minister David Lloyd George. Will Rogers was among his show business clients, along with countless showgirls who needed treatment for strained muscles or twisted ankles. Former baseball player turned evangelist Billy Sunday was also among his patients, both as a player and fire-and-brimstone preacher. Age caught up with Reese in 1931. He died of heart failure at the age of 76. His wife, Sarah; died in 1911; five daughters survived him: Mary Ann, Sarah, Gertrude, Elizabeth and Kathryn. His passing was noted in the Youngstown Vindicator like that of a major head of state. His obituary noted that he treated patients as they came in, that the famous had to stand in line. Patients paid what they could afford, while widows and orphans of mill workers were not charged for his services. Seven years before his death, the baseball publication Sporting Life paid tribute to Reese's contribution to baseball noting, "[he] has prolonged the active life of countless baseball stars and preserved them for the fans of the country to cheer." 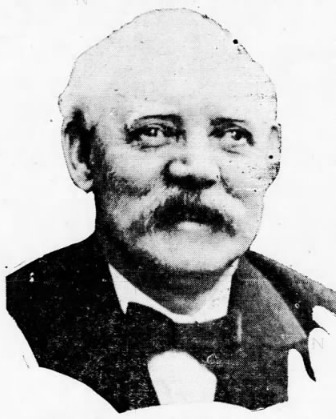 John D. "Bonesetter" Reese came to America to seek a better life for himself and his family, a motive the sons and daughters of immigrants understand. He built his life around the opportunity given him in his adopted nation. That simple fact best describes "Bonesetter" Reese's life and his contribution to his fellow citizens of Youngstown and to our national game. In preparing this article, I made primary use of David Strickler's self-published 1989 book Child of Moriah: A Biography of John D. Bonesetter Reese, the Reese papers at the Mahoning Valley Historical Society, various issues of Sporting Life published in 1908, and unsolicited clippings from many SABR members.